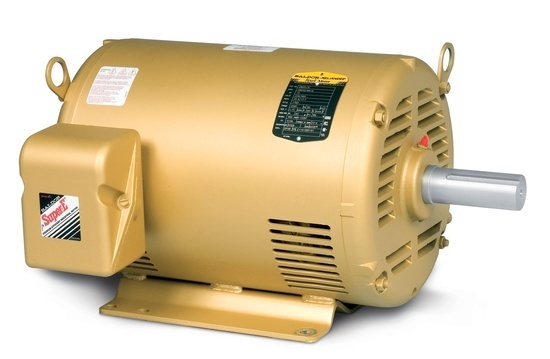 When it comes to motors, Baldor stands out from the crowd. With a legacy dating back to the early 20's, their focus on product evolution and customer satifaction is unparralelled. You can easily search or browse the main series offered on pumpcatalog.com which include AC Motors, DC Motors, Gear Motors as well as Misch Motors and Reducers. There are so many applications for a Baldor motor selecting the right one can be overwhelming with thousands of options. At anytime you can give us a call and one of our expereinced sales representatives can help you find the right motor for your specific applications. If you already have a motor that needs relacing, you can use the search in the top right of our website. Use the catalog number or the SPEC number and you can go right to the product page to see detaild specs and gain access to datasheets in the literature and manuals tab. Here is just a sample of the motor types and applications that a Baldor Motor covers. DC motor options typically range from permanent magnet general purpose and fractional and integram HP motors. When it comes to gear motors and miscellaneous motors and accessories we have you covered. We carry AC / DC right angle reducers as well as parallel shaft gearmotors. Check out all of our Baldor Motor options availalable right now for online sales here.